A fantastic season final for Christian Merli. 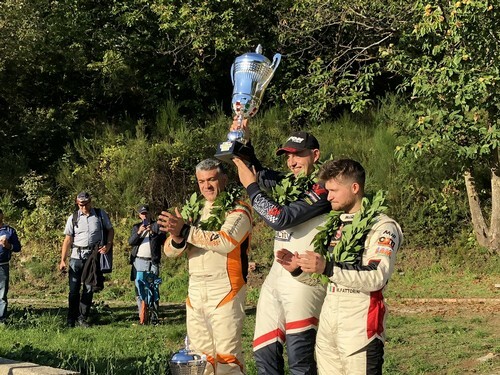 At the last round of the Italian hill climb championship CIVM, the 23rd edition of the Luzzi Sambucina at Cosenza in Calabria, he clinches victory both in Race 1 and Race 2. He establishes a new track record and crowns himself Italian hill climb champion 2018. 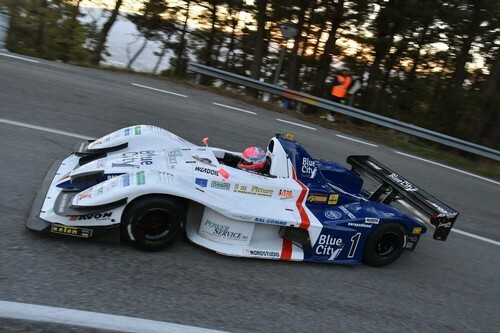 A simply fabulous season for the Team Blue City Motorsport leader at the wheel of the Osella FA 30 Zytek LRM. In early September he won the European championship with six victories in eleven races, setting eight new records. Then he hurried back to the fight for the Italian season title. Until the very last round he battled it out with Omar Magliona and his Norma M20 FC. Merli dominated Race 1 at Nevegal as well as Verzegnis, Ascoli, Trento – Bondone, Sarnano, Erice, Coppa Nissena and Luzzi, missing the Fasano, Morano, Gubbio and Pedavena weekends when he was racing in the European championship. So he won seven of the eight CIVM rounds in which he took part. The 23rd edition of the Luzzi Sambucina at Cosenza consists of two race heats on a demanding, twisty, 6.150 km track. In the first practice session, one of the 2018 favourites, Omar Magliona, crashes, and Merli is slowed down by the yellow flags. 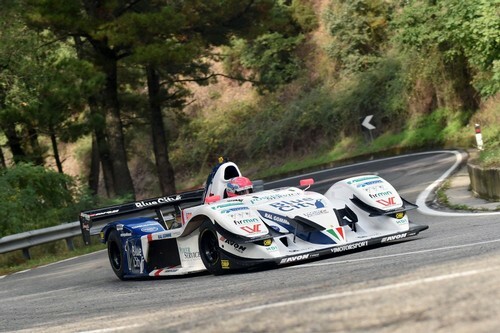 Cubeda clocks the best time, followed by Fattorini with the FA 30 and Iaquinta with the Osella CN 2000. In the second session in the late afternoon, Christian, who races for the Scuderia Vimotorsport, sets the best time in 3’09”69, only two tenths of a second above the record of 3’09”49, which Domenico Scola established with the Osella FA 30 in 2016. In Magliona’s box, Team Faggioli are working on the Norma M20 FC to get it ready in time for the race. Behind the European champion there are Cubeda with the FA 30 and Scola with the Osella PA 20. 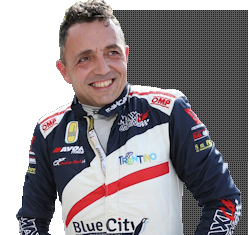 Merli dominates, establishing a new record in 3’08”12, followed by two other Osella FA 30s, Cubeda 1”97 behind and young Fattorini 9”93 behind. Magliona finishes fourth. Christian smashes the record yet again and sees the clocks stop on 3’06”15, followed by Cubeda, 8”28 behind, and Fattorini, 13”11 behind, each with an Osella FA 30. 1st Merli (Osella FA 30 Zytek LRM), 2nd Cubeda (Osella FA 30) 10”25 behind, 3rd Fattorini (Osella FA 30) 23”04 behind. 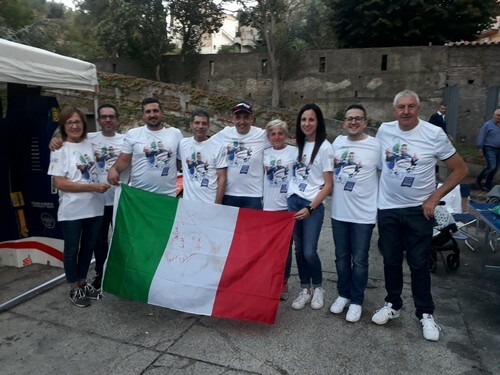 6 May: Alpe del Nevegal (Belluno province) – winner Omar Magliona (Norma M20 FC), 27 May: Verzegnis – Sella Chianzutan (Friuli Venezia Giulia region) – winner Christian Merli, 10 June: Coppa Selva di Fasano (Apulia) – winner Magliona, 24 June: Coppa Paolino Teodori (Marche) – winner Christian Merli, 1 July: Trento – Bondone (Trentino) – winner Christian Merli, 22 July: Salita Morano Campotenese (Calabria) – winner Domenico Cubeda (Osella FA 30), 5 Aug: Trofeo Scarfiotti (Marche) – winner Christian Merli, 19 Aug: Trofeo Luigi Fagioli (Umbria) – winner Magliona, 2 Sept: Pedavena – Croce d’Aune (Veneto) – winner Magliona, 16 Sept: Monte Erice (Sicily) – winner Christian Merli, 23 Sept: Coppa Nissena (Sicily) – winner Christian Merli, 7 Oct: Luzzi Sambucina (Calabria) – winner Christian Merli.